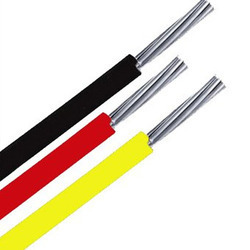 We have emerged as the leading manufacturer, exporter and supplier of wide variety of Cable.Our company is a Teflon(Teflon is the registered trademark of Chemours) wire leader in domestic. We have supplied wires for ISRO,BEL, NPCIL, DRDO, BARC, HAL, CEL, BHEL and many of the PSU's.Our sales volume has definite proportion in Indian Market. 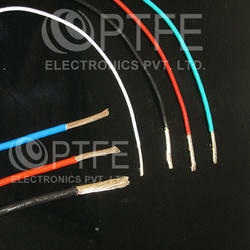 We are offering Teflon Multi Core Cables (Teflon is the registered trademark of Chemours) to our client. We are offering LCSO Approved Teflon Cables (Teflon is the registered trademark of Chemours) to our clients. Voltage Rating 250V AC (Type ET)/600V AC (Type E)/ 1000V AC (Type EE)/As per customer Requirements. 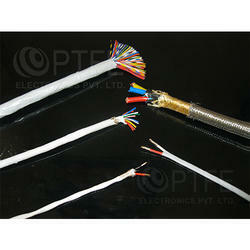 We are offering for Teflon Insulated Cable (Teflon is the registered trademark of Chemours) to our clients. We are instrumental in offering our clients a wide gamut of Teflon Insulated Cables (Teflon is the registered trademark of Chemours) which is manufactured at par with both national and International quality standards to ensure resistance against heat, flame and tough working conditions. 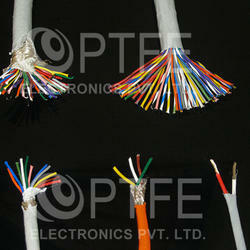 We are offering Teflon Insulated Cable (Teflon is the registered trademark of Chemours) to our clients. 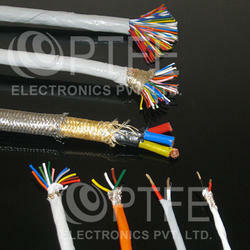 We are Offering LCSO Approved Teflon Cables to our clients. The Teflon Cable (Teflon is the registered trademark of Chemours) is actually a Teflon wire that is reckoned for its extreme survival of temperature. It’s made by using advance technology that certifies non-flammability and High Dielectric strength features. Further, its anti-stick properties help to prevent building of sediments and fungus as well. 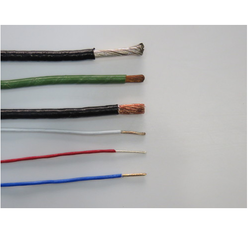 We are offering Teflon Insulated Copper Wire (Teflon is the registered trademark of Chemours) to our client.